Sorry, I forgot to post that it was picked it. If you interested in this monster, I can tell you that I ordered it from New York Brew Supply. If you are looking at the big one, make sure it fits, that's why I had to part with it. It sat on my dip tube oddly. Once again, sorry I forgot to note the sale. Is the IC still available? 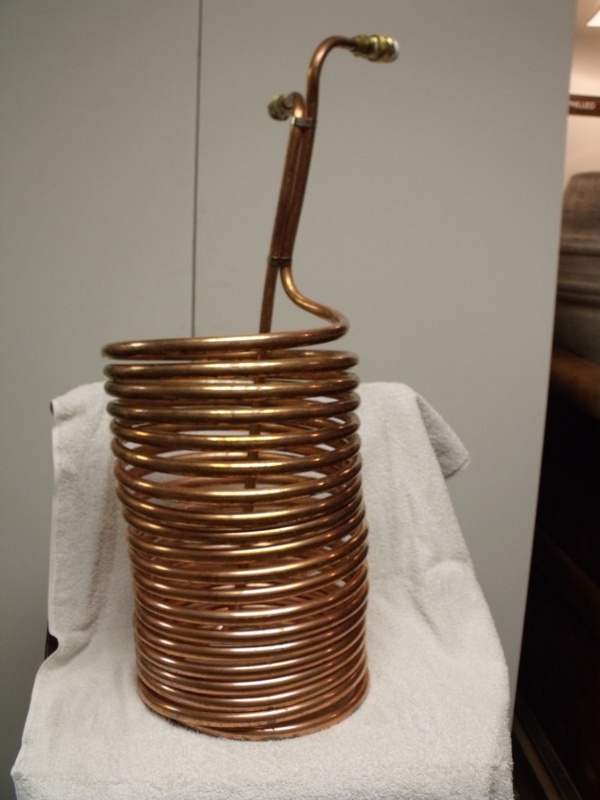 For sale is this 1/2" diameter 50' copper coil immersion chiller. Most chillers are 1/4" diameter, but this is double the size for maximum cooling capacity. This heavy duty immersion chiller is recommended for 10 to 20 gallon batches, but also works well with full 5 gallon boils. Drop your boiled wort to pitching temps in as little as 10-15 minutes. A great alternative to those who wish to avoid any added expense of a pump/plate chiller combo. Also installed are the necessary brass fittings to make this quick-disconnect ready. This chiller was used only once and, obviously, all grease and machining material has been removed from it. I'm asking $75 for the chiller. » Tell me about indexing coil springs?